Serotonin is a neurotransmitter which helps brain cells communicate with one another, playing important roles in stabilising mood and regulating stress. Despite its importance, current models to explain serotonin's function in the brain remain incomplete. They argue that the existing view should be updated to incorporate a 'two-pronged' model of how serotonin acts. In the brain, serotonin acts via a number of sites called 'receptors' and serotonin has at least 14 of these. 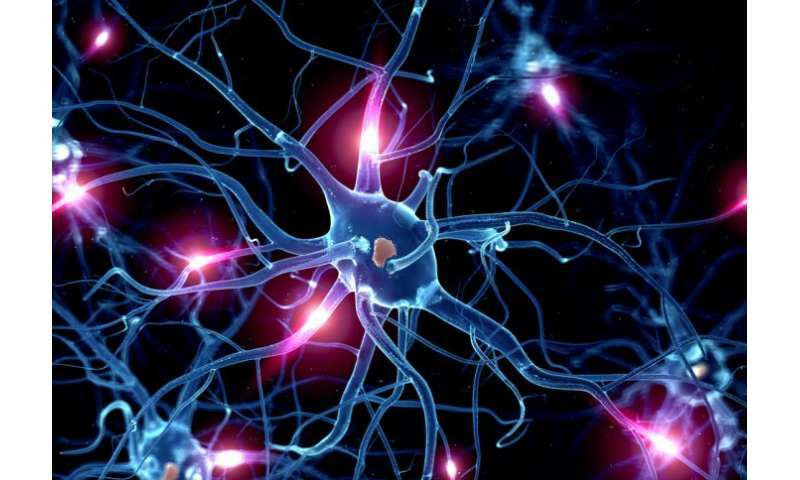 Brain drugs such antidepressants, antipsychotics and psychedelics are known to interact with serotonin receptors and two of these are thought to be particularly important - the so-called serotonin 1A and 2A receptors. "We may have got it wrong in the past," said Dr Robin Carhart-Harris, Head of Psychedelic Research at Imperial and lead author on the paper. "Activating serotonin 2A receptors may be a good thing, as it makes individuals very sensitive to context and to their environment. Crucially, if that is made therapeutic, then the combination can be very effective. This is how psychedelics work – they make people sensitive to context and 'open' to change via activating the 2A receptor." Growing evidence shows that in conditions such as treatment-resistant depression, obsessive compulsive disorder and addiction, certain brain circuitry may become 'stamped in' and resistant to change. The researchers suggest that in such cases, activating the 2A pathway – such as through psychedelics – could potentially offer a way to break the cycle, helping patients to change negative behaviours and thought patterns which have become entrenched. Dr Carhart-Harris added: "I think our model suggests that you cannot just administer a drug in isolation, at least certainly not psychedelics, and the same may also be true for SSRIs. "We need to pay more attention to the context in which medications are given. We have to acknowledge the evidence which shows that environment is a critical component of how our biology is expressed." In south america they have a substance called ibogaine. From what the studies postied the drug acts in the same way that LSD and mushrooms do on the 5-HT2A receptor. LSD is able to let a person see things in a o more objective frame of mind and then the ability to act on these revelations. Ibogaine is the same. the stude took people with abusive mates and depression, over saw them with medical staff and the result was that the person in the abusive relationship was able to get out and lead a more productive life and the person with depression was able to do better as well. Timothy Leary had it right bc I am positive he had issues and was able to deal with them bc of taking LSD.